What a great day! 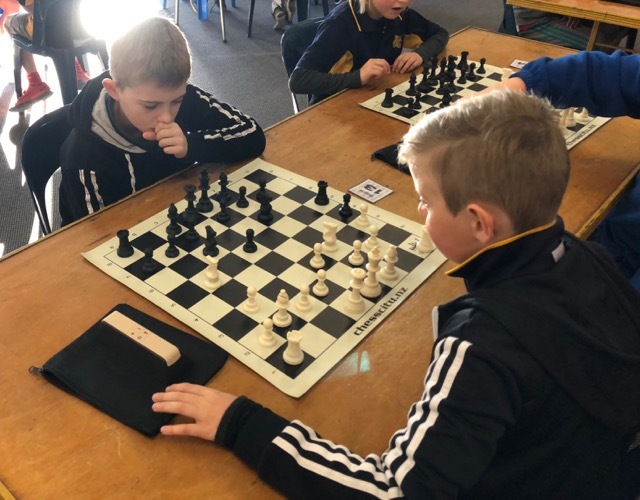 Well done to the four boys, Maz I, Rhys McW, Samuel M and Will M who represented our school at the Chesspower chess tournament today. They may have been one of the smallest teams we’ve ever entered before but the results from the day where phenomenal! 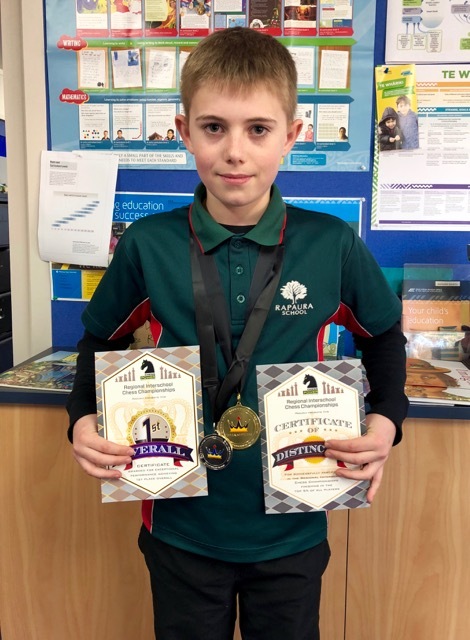 Maz came home with a gold medal as Champion of the tournament and together the boys qualified second school team and came home with a silver medal. 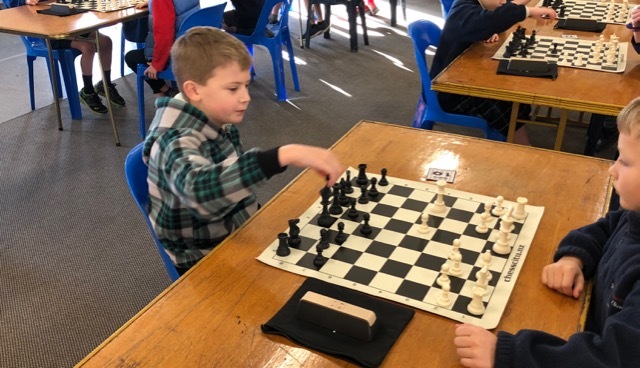 The team has qualified for the national Chesspower tournament but this decision is very much handed back to the parents. Well done boys, once again you have made our school super proud of you. 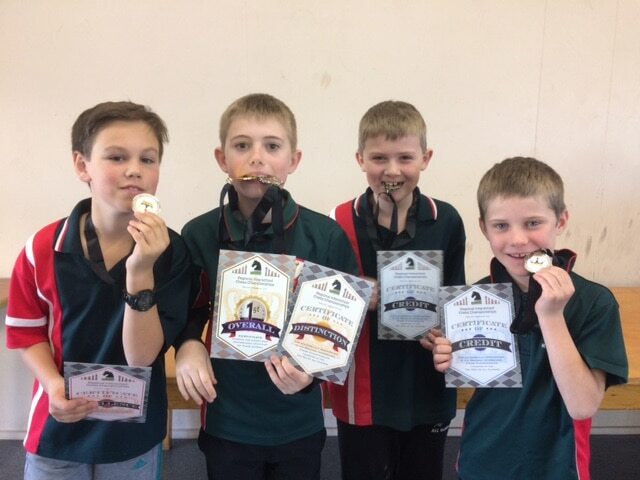 The team – Rhys, Maz, Samuel and Will. Maz with his Champion ‘1st overall certificate and Certificate of Distinction, amazing day at the office for you Maz. Maz – see the concentration. 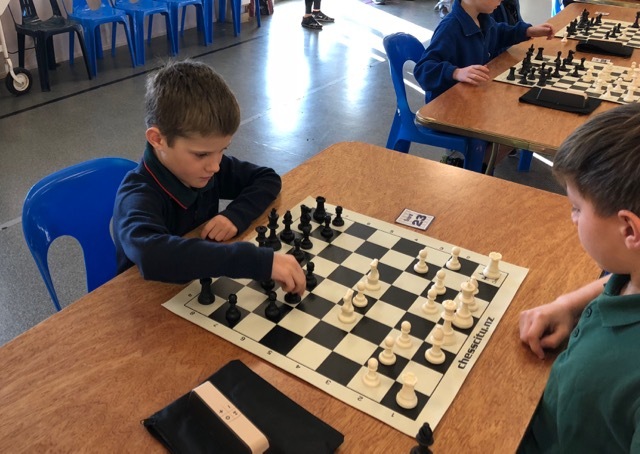 Taking charge, well done Samuel. Congratulations boys on an outstanding result. We are so proud of you all. Wow, what an amazing day for you all! 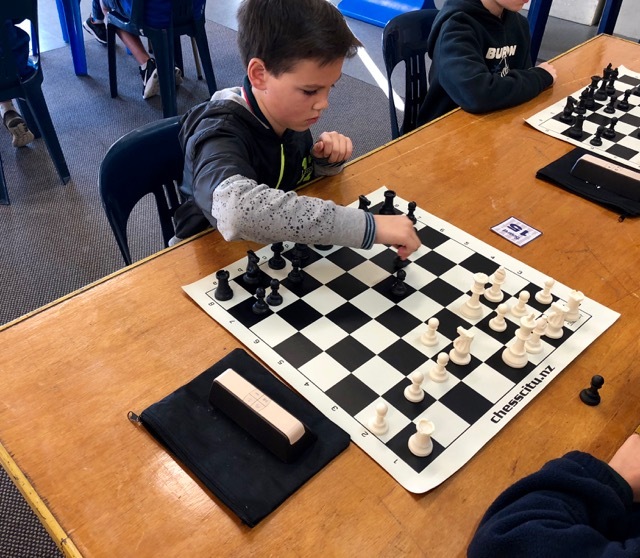 Congratulations on being selected to represent Marlborough in Auckland.